The preliminary investigation – the results of which are published in the latest issue of the New England Journal of Medicine – sought to test the effectiveness of an experimental drug called pritelivir, by monitoring its ability to curb viral shedding in people with genital herpes. 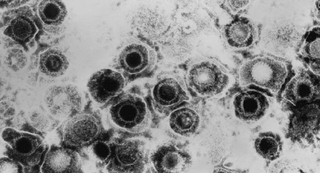 Viral shedding can occur even in the absence of physical symptoms of herpes simplex virus 1 and 2 (HSV-1 and 2), the two major members of the herpes family that infect humans. That the virus is transmissible, even in the absence of visible or otherwise noticeable symptoms, is one reason herpes is so common, affecting an estimated 50-million Americans, alone. Novel therapies like pritelivir show promise in their ability to not only decrease the length of time the virus is active, but also shrink the time window during which the infection is transmissible to sexual partners of people carrying the STI via viral shedding. HSV shedding among placebo recipients was detected on 16.6% of days; shedding among pritelivir recipients was detected on 18.2% of days among those receiving 5 mg daily, 9.3% of days among those receiving 25 mg daily, 2.1% of days among those receiving 75 mg daily, and 5.3% of days among those receiving 400 mg weekly. The percentage of days with genital lesions was also significantly reduced, from 9.0% in the placebo group to 1.2% in both the group receiving 75 mg of pritelivir daily (relative risk, 0.13; 95% CI, 0.02 to 0.70) and the group receiving 400 mg weekly (relative risk, 0.13; 95% CI, 0.03 to 0.52). The rate of adverse events was similar in all groups. "This study represents a major a step forward in herpes research," said Dr. Stephen Tyring, a professor of dermatology at the University of Texas Health Science Center at Houston and coauthor of the study, in an interview with the Houston Chronicle. "The drug is still a few years from the market, but it should be a boon to the many people for whom existing therapy [like valacyclovir and acyclovir] has lost effectiveness." The study is published in the New England Journal of Medicine. For more general information, visit US News & World Report and The Houston Chronicle. More on helicase-primase inhbitors (the class of therapies to which pritelivir belongs) at MedScape.